UMP | University of Minnesota Press Blog: A little love, and a little luck, helped create the A.W. Tillinghast-designed Rochester Country Club members know today. A little love, and a little luck, helped create the A.W. Tillinghast-designed Rochester Country Club members know today. Minnesota is blessed to be the home of golf courses designed by some of the best golf course architects who ever drew a blueprint, laid out a fairway or placed a bunker. Scotland native Donald Ross has six examples of his work in Minnesota (Minikahda, Interlachen, White Bear Yacht Club, Woodhill, Minneapolis Golf Club and Northland); Long Island surveyor-turned-golf course designer Seth Raynor designed three here (Somerset, Midland Hills and Minnesota Valley); prolific American architect Robert Trent Jones designed Hazeltine National; gifted Canadian Stanley Thompson designed North Oaks; and two-time British Open champion Willie Park, Jr., designed the first routing of Minneapolis Golf Club. All were brought to Minnesota for purely financial reasons. Designing a golf course in the early 1900s paid anywhere from $500 to $3000, depending on the quality and reputation of the architect, and clubs would usually hire the most famous golf course architect they could afford. One of golf architecture’s biggest names, however, came to Minnesota to design a course out of love. A. W. Tillinghast — “Tillie” to his friends and admirers — was an early giant in the field of golf course architecture, and his most famous creations (Baltusrol, Winged Foot, San Francisco Golf Club and Bethpage Black) are still considered among the best courses in the world. Some continue to host major international championships. The son of a wealthy Philadelphia rubber manufacturer, Tillie began his career as a journalist, became an accomplished amateur golfer and gravitated toward course design, where he showed aptitude bordering on genius. Though he traveled from coast to coast to lay out courses, it is altogether possible that Minnesota might never have been blessed with a Tillinghast course had his daughter not married Dr. Phillip Brown, a physician who was hired by the Mayo Clinic in Rochester. When Tillinghast visited his daughter Elsie and her family in 1926, the Rochester Country Club members were waiting for him. Mayo physician Dr. William P. Finney (who would later serve as president of the Minnesota Golf Association), had invited Phillip and Elsie Brown to dinner at his house prior to Tillie’s visit, an invitation that surprised Elsie, who wondered why a young, unimportant couple would be invited to dine with one of Mayo’s most prominent doctors. By the end of the evening, Finney made his motives known: He asked if Elsie’s father might consider designing a course for Rochester Country Club. And if so, how much would he charge? When Elsie nervously relayed the request to her famous father, Tillie laughed and said he’d do it for free. “The charge will be carfare for Mother and me to come for a visit,” he told his daughter. Once he got a look at the land, where members played on the club’s original 9-hole course, Tillinghast became convinced he could design a fine 18-hole course over the same hilly contours. And once he got to know club member, Mayo physician and amateur agronomist Walter D. ‘Pop’ Shelden, the project truly became a labor of love. “They were both irascible visionaries and a rapport was established that lasted until the end of their times,” Elsie Brown wrote of her father and Pop Shelden. After drawing up his plans—and taking the time to design the course at Golden Valley Golf Club, as well—Tillinghast was off to other projects, leaving Rochester Country Club in Shelden’s hands. Shelden was not a passive caretaker; he planted 30,000 pine seedlings around the course, which remain Rochester Golf and Country Club’s dominant feature. The visual effect of the trees is undeniably stunning; the narrowness of the golf course is equally vexing to those who don’t hit their ball down the middle. Though Shelden is given both the credit and the blame for the thick forests that line the golf course, there is evidence that Tillinghast may have approved. Shelden might well have planted more trees than Tillinghast had expected—Tillie died in 1942, well before Shelden’s forest matured — but not without the architect’s initial approval. It is unlikely Tillinghast would have approved of any alterations that might have flawed the course he designed out of love for his daughter. 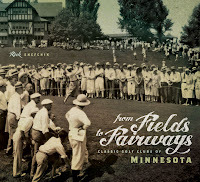 Rick Shefchik is author of From Fields to Fairways: Classic Golf Clubs of Minnesota. As a young boy in Duluth, Minnesota, in the 1950s, he took his first golf lessons from Northland Country Club head pro Everett Stuart and has been playing golf ever since. He is the author of four novels. He lives in Stillwater, Minnesota. Please join us at an event to celebrate the launch of Rick's book on Saturday, April 14th, 2012, at the Theodore Wirth Golf Club. Details here. 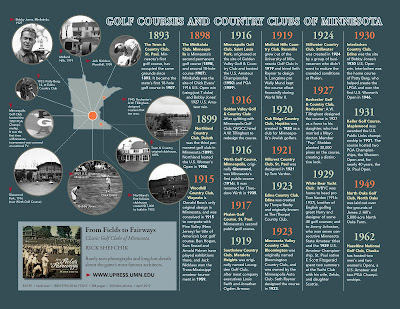 "A great addition to the written history of golf in Minnesota and one that every true golfer will want in the library." "Rick Shefchik brings to life the visionaries, architects, and personalities that built our classic courses and forever shaped the game we love. 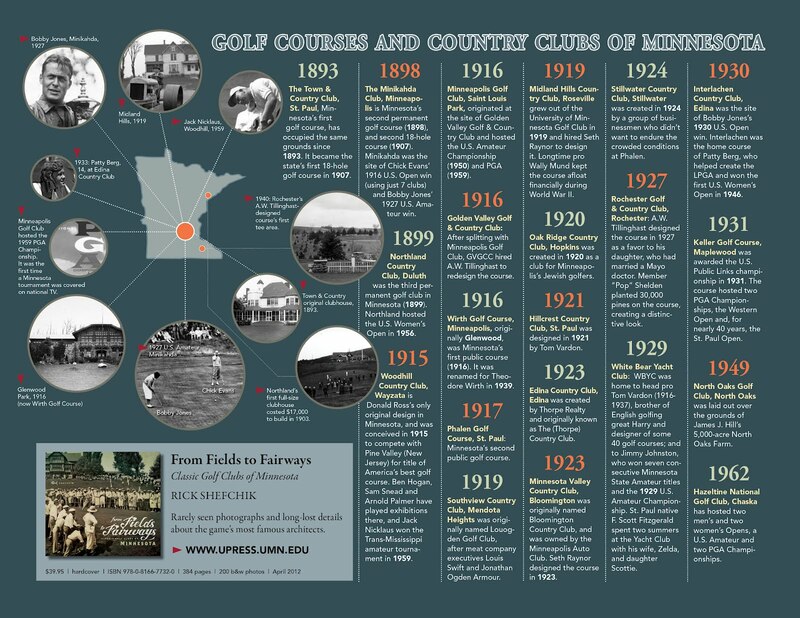 Minnesota is known nationally for the quality of our golf courses and this is a must for anyone who loves the history and traditions of Minnesota golf." Roland Bleiker: What to do about North Korea? Papa Jo Jones, Jazz Drummer and . . . Actor?